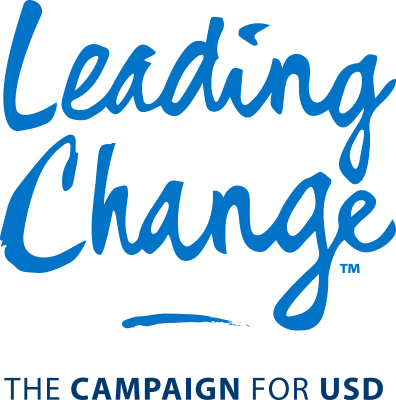 Leading Change: The Campaign for USD spanned eight years, from 2010 to 2018. 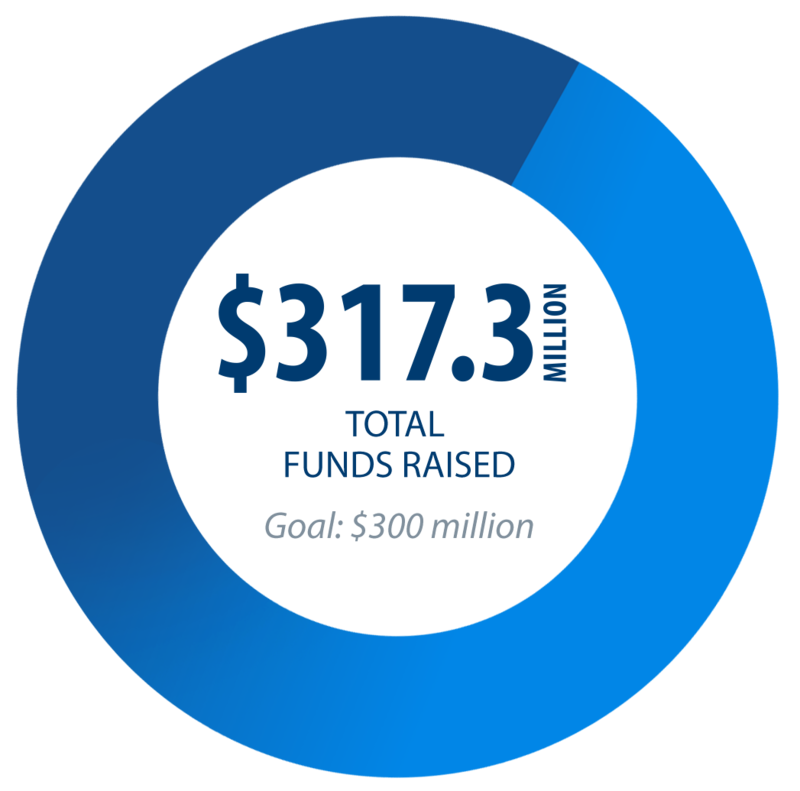 We are thrilled to have exceeded our $300 million goal, but more importantly, we are excited that our collective efforts will positively enhance the student experience for years to come. USD alumni and students have carried their passions into classrooms and courtrooms, into boardrooms and family rooms, everywhere there’s room to improve the condition of our planet. In a matter of only decades — the blink of an eye in the history of many universities — USD has become an institution of international renown, but more significantly, an institution humbled and grateful — and inspired by the respect our alumni and students have earned. We’re also an institution — a community of Changemakers — keenly aware of the great amount of work yet to be done. USD must provide new learning spaces, make way for new programs, bring teams together and attract the best and brightest students. Each year USD spends about $12 million on deferred maintenance and facility improvements to assure that the students’ living and learning environment is both state-of-the-art and sustainable. Seven out of every 10 students at USD rely on scholarships or other forms of financial aid. Many say it was a scholarship that made it possible for them to be a Torero, a leader, a Changemaker. Scholarships make it possible for students to experience to the fullest all that comes with a USD education. Scholarships make it possible for them delve into research projects and study abroad. Scholarships make it possible for them to explore the areas of study they find most intriguing and to pursue the opportunities about which they’re the most passionate. An endowed chair or professorship is a measure of success, both for the faculty member who holds it and for the university that brings it to life. An endowed chair or professorship represents the very best in a particular discipline — the brightest faculty, the most innovative research and the most forward of thinkers who may be blazing trails in territories others haven’t even thought to explore. When brought together at one place and time, they’re the ones who dare to tackle some of society’s most complex issues. A strong endowment makes it possible for USD to continue changing the world for generations to come. USD's endowment has grown by $298 million — an astounding 173 percent — in the last decade, providing sustaining support for student scholarships, academic programs, and the recruitment and retention of faculty.